DETROIT (March 14, 2014) — Today marks the last day of service for ASB Detroit. The week has ended with a "Rally for Education" at Osborn High School. 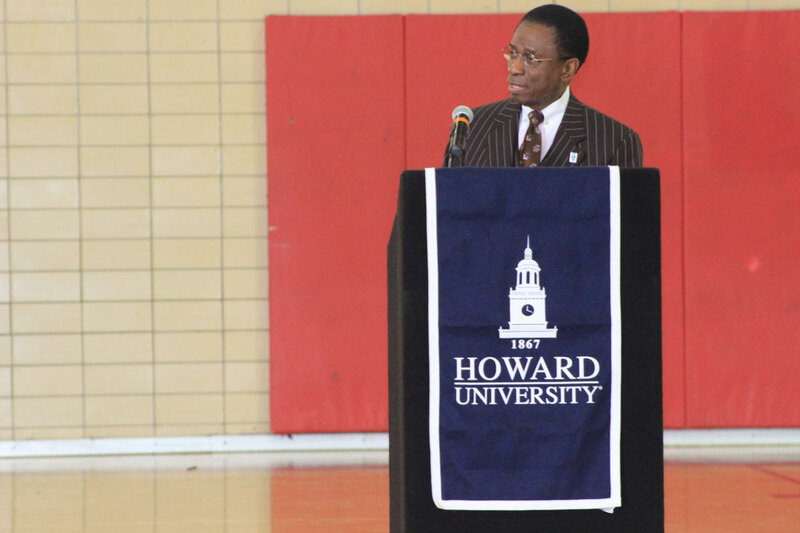 Several motivational speakers spoke to students in Osborn's gymnasium to celebrate the importance of education and commemorate Howard University for their service with Alternative Spring Break. The speakers included the President of University of Detroit Mercy, Antoine Garibaldi, the Emergency Manager of Detroit Public Schools Jack Martin and ASB Detroit site coordinator Chelsea Gaddis. This rally was very inspiring for both the ASB participants and the students of Osborn High School. It was also a very emotional day because it was the last day for the mentors and the mentees. The rally and the ASB participants will be featured in the Detroit Free Press tomorrow.